As someone who is interested in prostate cancer almost exclusively in my practice, listening to Dr. Nicholas James present the data from the STAMPEDE trial was of high interest. The trial showed a highly significant improvement in failure-free survival as well as overall survival for men with newly diagnosed metastatic disease, confirming the findings of the CHAARTED trial presented at last year’s ASCO Annual Meeting. 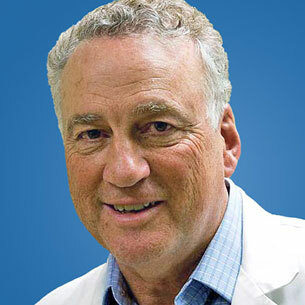 Further encouraging news came from Dr. Howard Sandler’s presentation of RTOG 0521 that demonstrated improvement in overall survival among patients receiving androgen deprivation therapy (ADT) with docetaxel compared to those who did not receive chemotherapy as part of curative-intent treatment for high-risk localized disease. Ian Tannock, another outstanding investigator in our field, then made a presentation regarding clinical trial design and chemotherapy—an excellent overview of the past decade of clinical trials using docetaxel earlier in the disease. He pointed out the similarities of the three trials (including the negative GETUG-15 trial reported earlier) and noted that in spite of lack of statistical significance of GETUG-15, it favored docetaxel and that combining the data from all three trials leads to a highly significant test for overall effect of p = 0.003, leading him to recommend that men with high-risk metastatic disease at presentation should receive six cycles of chemotherapy as a new standard of care. Turning to the early use of docetaxel in combination with radiotherapy and ADT in the initial curative-intent treatment as was done in RTOG 0521, he pointed to several potential pitfalls in accepting this as a standard of care. He again combined the other studies (GETUG-12 and STAMPEDE) looking at similar patients and noted that only the RTOG trial showed a difference in overall survival in spite of all three showing improvement in failure-free survival. Given the RTOG trial used a one-sided statistical analysis for finding a marginally significant (p = 0.04) improvement in overall survival, he concluded that “chemo delayed is toxicity delayed” and feels that at present adding docetaxel up front to ADT/radiation curative-intent treatment is not warranted. Perhaps the most remarkable slide he presented, however, was a look at his own institution’s experience with using docetaxel in a trial setting as opposed to routine practice. Toxicity increased and efficacy diminished, highlighting the challenges of extrapolating from the generally healthier, better staged and more closely followed patients who enter clinical trials compared to day to day experience. Ian is truly a sage who helps my own field better understand the status of clinical management of prostate cancer and being able to hear his voice and share his insights on the Virtual Meeting website was most rewarding!